Linda and Gerald “Gerry” Tumarkin share a profound love not only for each other and their family, but for the Tucson community as well. Both were born and raised in Newark, New Jersey where they first met as children. Gerry would visit the home of his childhood friend, who happened to be Linda’s older brother. After moving away to attend college and serving in the Marine Corps, Gerry came back to Newark years later and reconnected with old friends. He was stunned to find young Linda all grown up. They were engaged eight weeks later. This year, Linda and Gerry will celebrate 56 years of marriage. The Tumarkins moved to Tucson from New Jersey in 1971 for business reasons, with their young family in tow. Leaving behind their families and the world they knew, they found themselves having to make new friends and connections in an unfamiliar town. Says Linda, “Tucson’s Jewish community became a place for us to establish ourselves”. They found mentors in Jack Fruchthendler, Saul Tobin and Dave Kramer, as well as Margie Fenton, Carol Stern and Roz Kaufman. The Tumarkins speak fondly about the numerous times they’ve traveled to Israel, the first time being in 1976. Linda recalls that these travels were “life changing” and soon, the Tumarkins were leading their own missions to Israel. 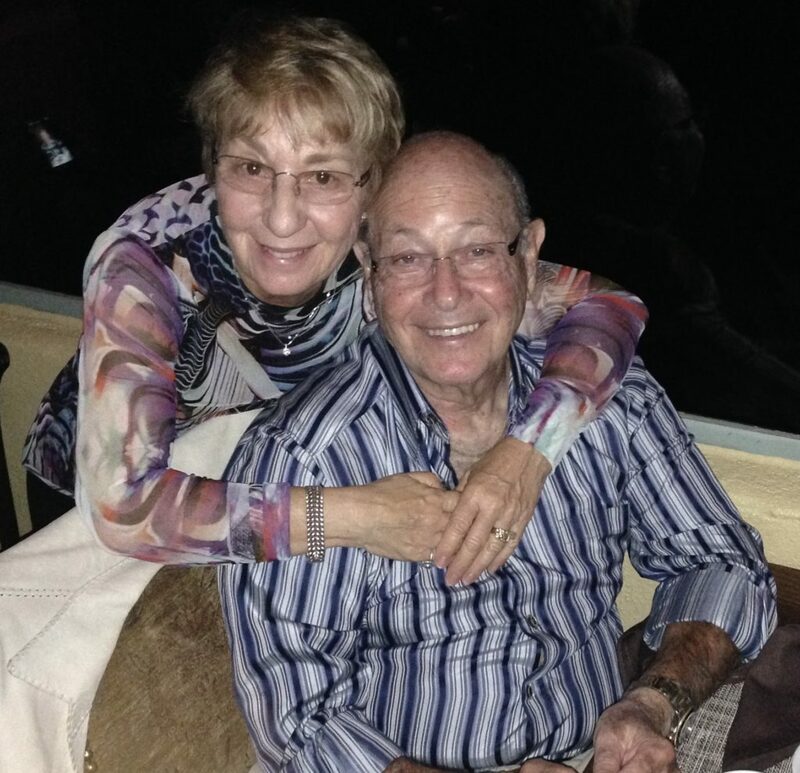 Over the years, Linda and Gerry became very involved in the Tucson community as lay leaders, which they express as, “a natural evolution” of their commitment to Jewish causes. Linda served on the board of the Jewish Community Relations Council, Jewish Children and Family Services, and also served as the President of Jewish Federation of Southern Arizona (1997-2000). She led Synagogue-Federation Dialogue (Chair 2004-2006), served on the Strategic Planning Management Team, Women’s Philanthropy Board, as a Board member for the Jewish Community Center and as a Mitzvah Magic Volunteer. For her leadership, Linda received recognition from the Jewish Federation of Southern Arizona as Woman of the Year (1984). Gerry served as President of Board of the Jewish Community Center (1999-2001), was a Member of the International JCC Board (2000), involved with Congregation Anshei Israel, served as a Board member for Federation, the Jewish Community Relations Council and Handmaker Jewish Services for the Aging. Today he serves on the Board of Congregation Or Chadash. For his leadership, Gerry received the Jewish Federation of Southern Arizona Meritorious Service Award (1984) and named Man of the Year (1986). Linda volunteers as a Greeter at the Jewish History Museum & Holocaust Center, assists at Sister Jose and is also a Reading Seed volunteer with Literacy Connects. Furthermore, Linda serves as a Trustee of the Jewish Community Foundation where she is a very active member, also serving on the Legacy and Board Governance Committees. Of the couple Stuart Mellan expresses, “They are equally committed to the health and future well-being of our community. They have never wavered in their dedication to being of service.” Thank you Linda and Gerry Tumarkin for your many accomplishments and for your commitment to our community!